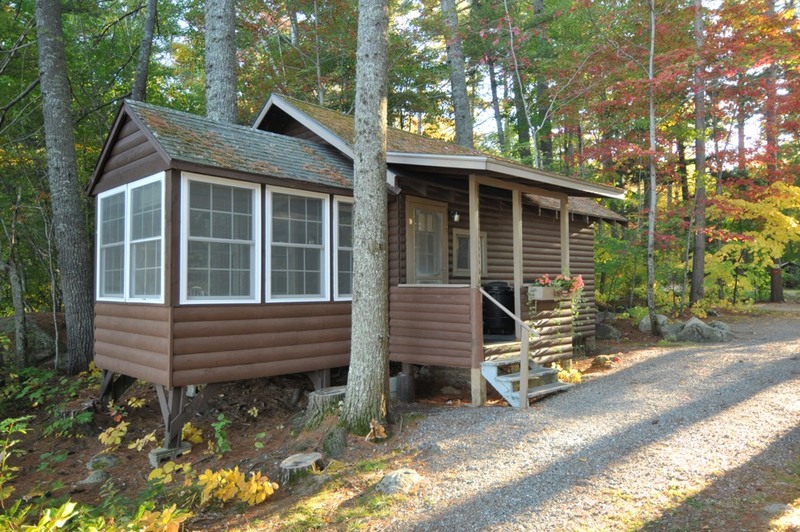 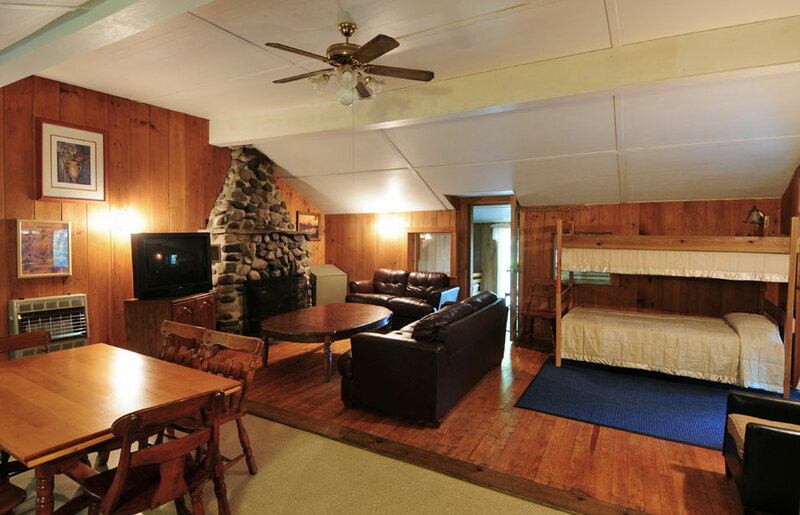 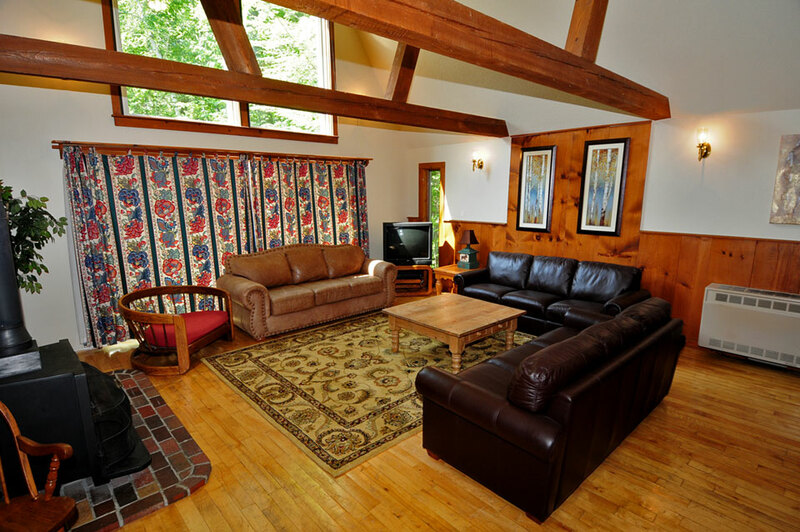 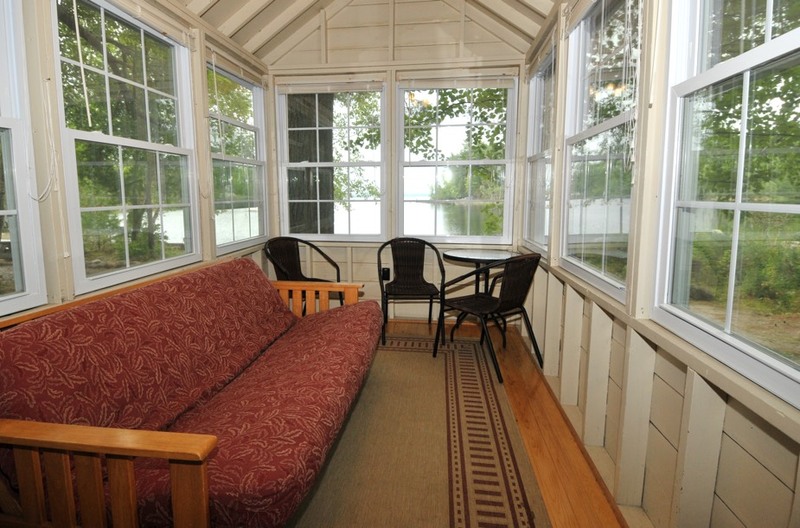 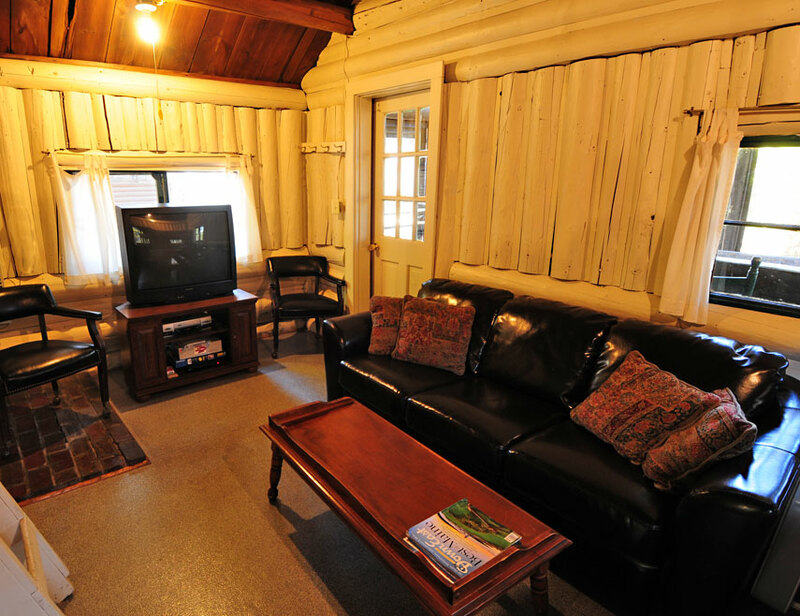 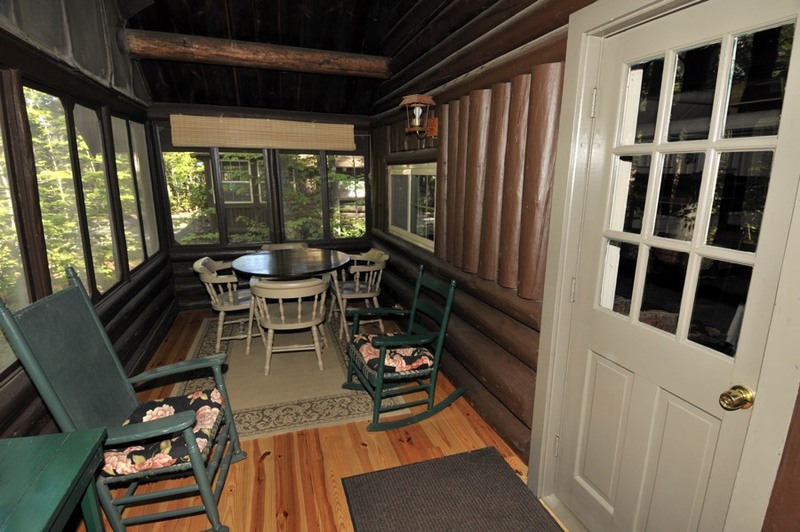 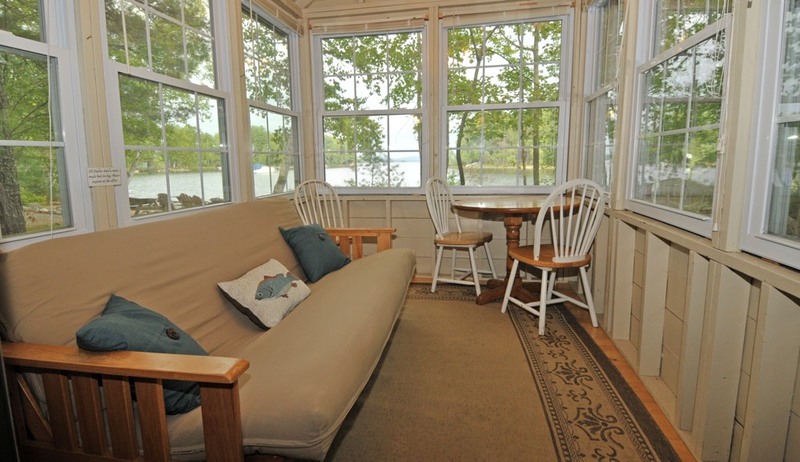 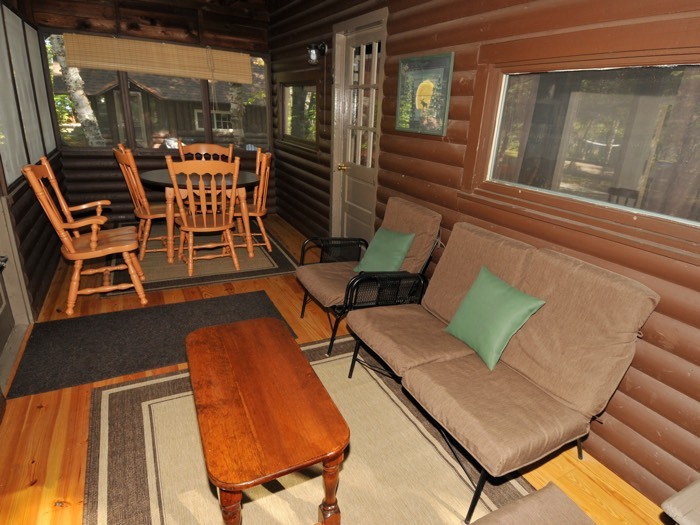 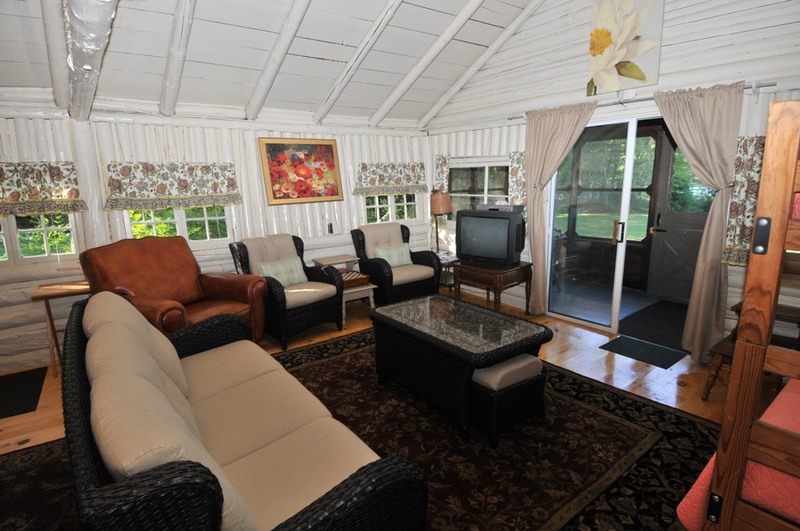 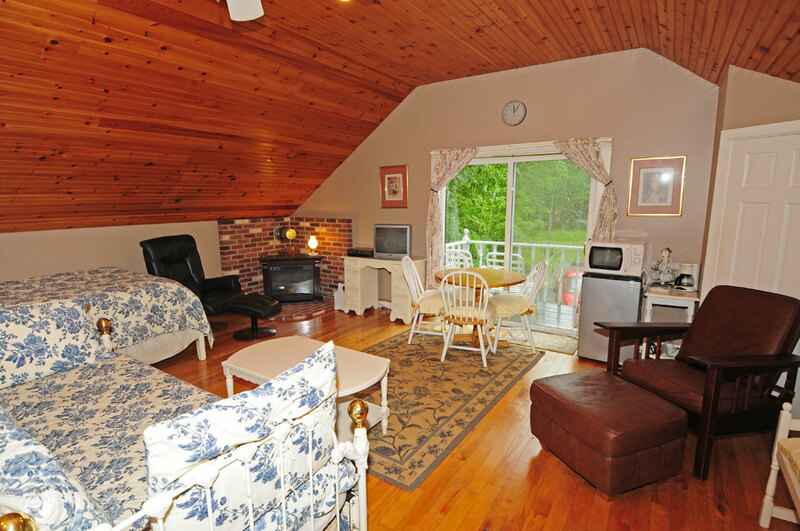 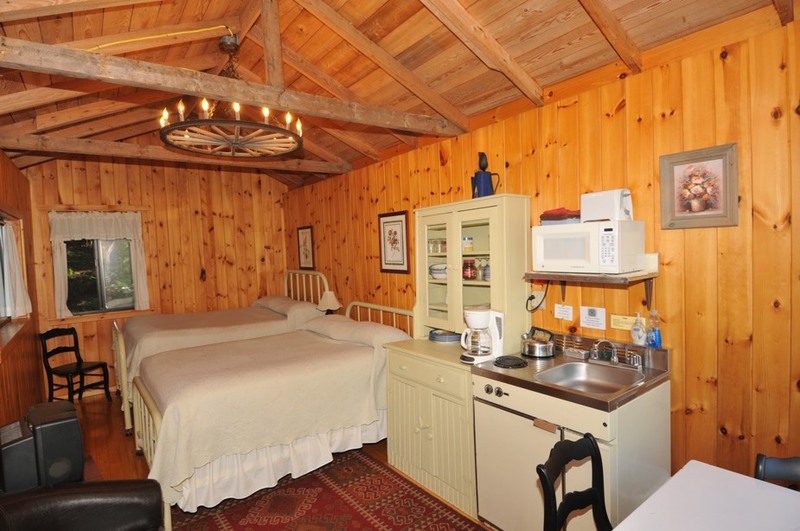 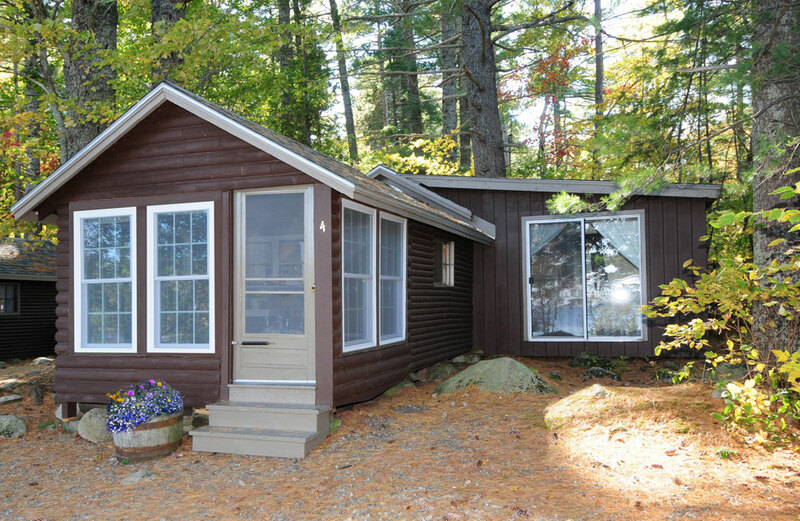 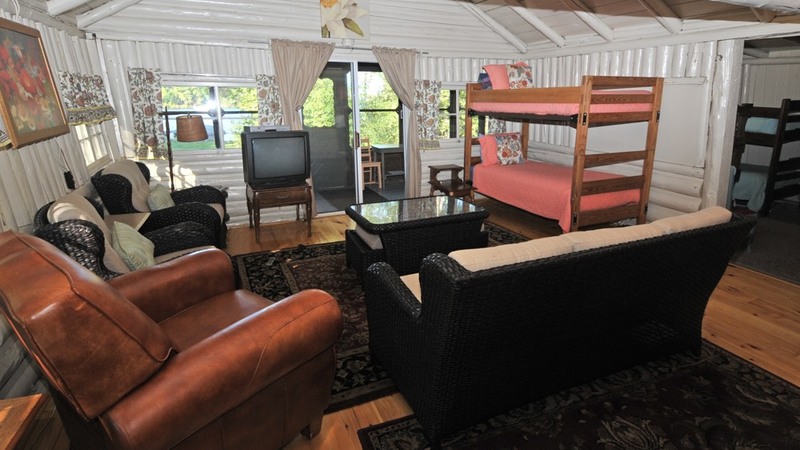 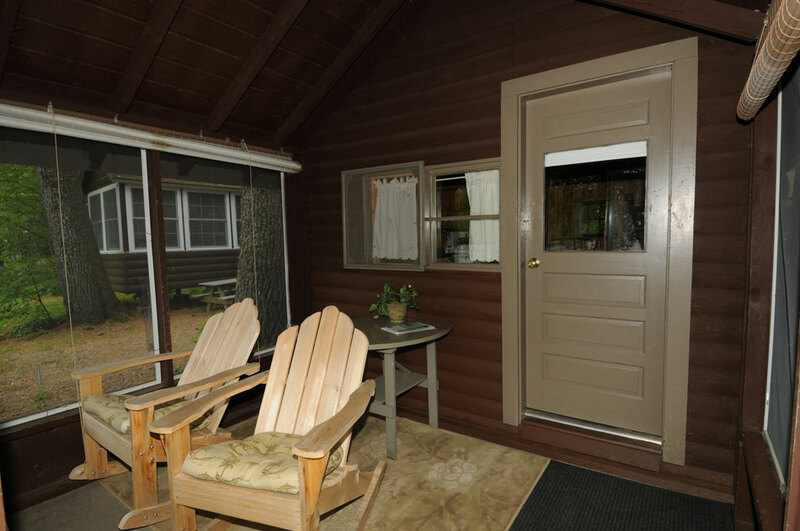 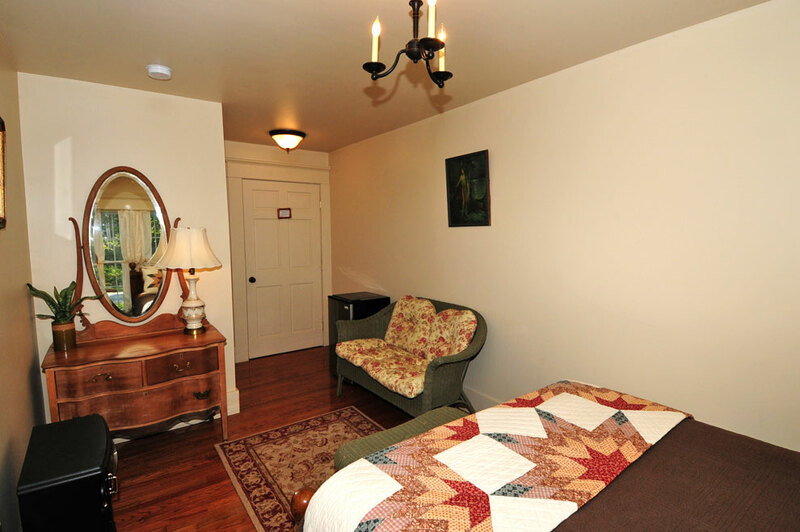 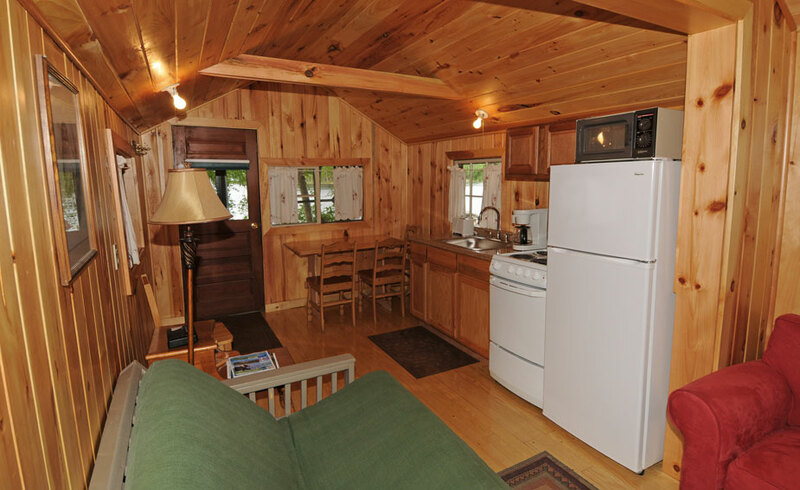 Our fully furnished lakeside and trailside cabins are a favorite of groups looking for a warm setting. 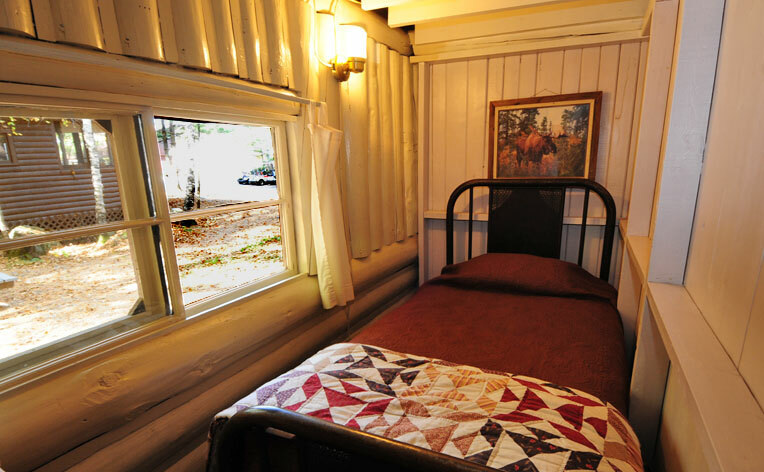 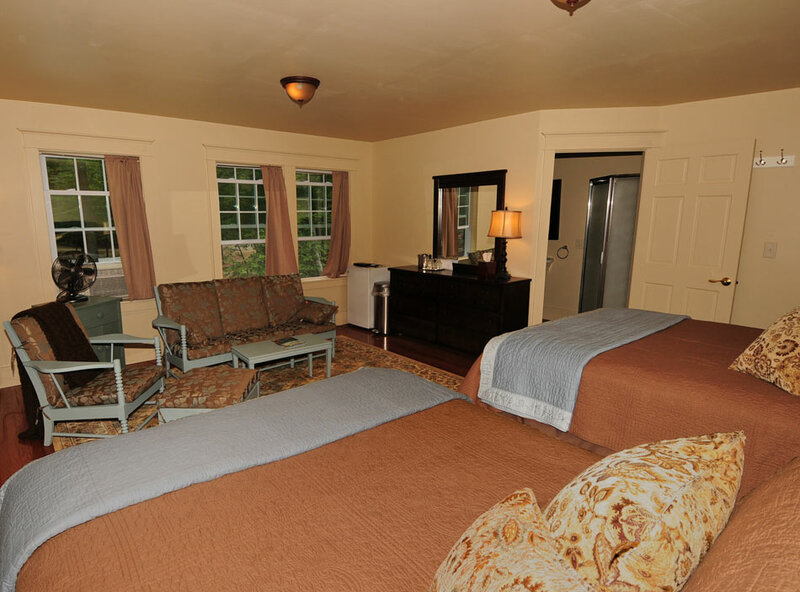 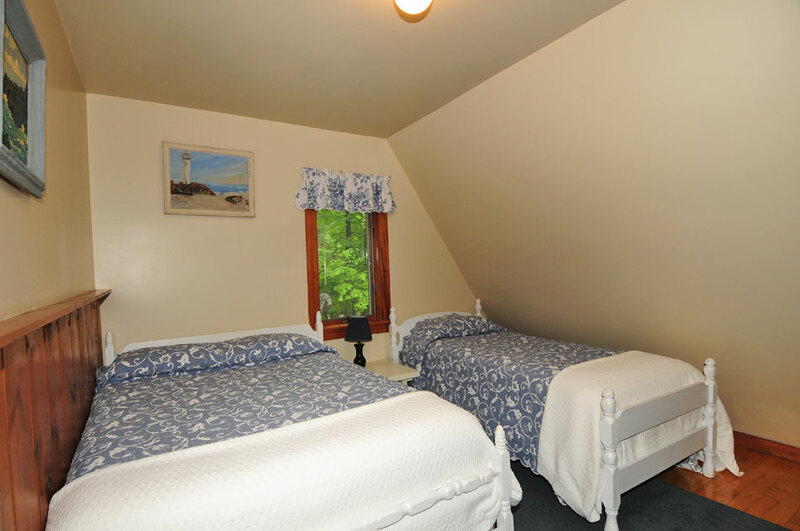 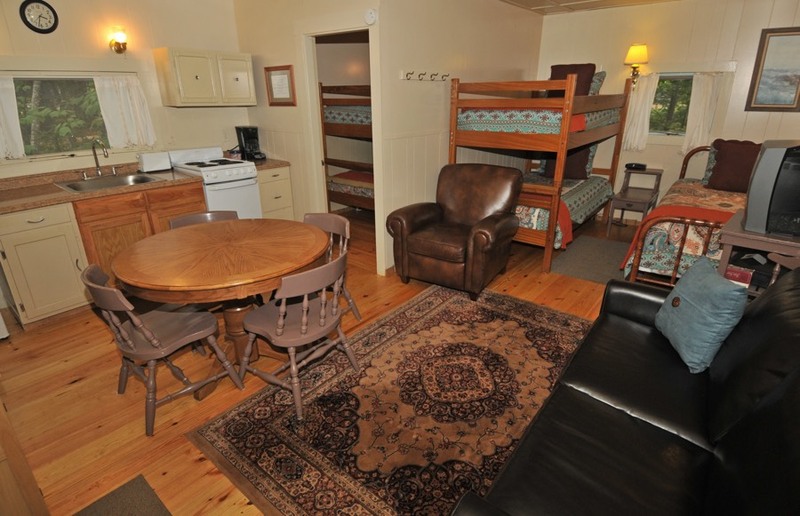 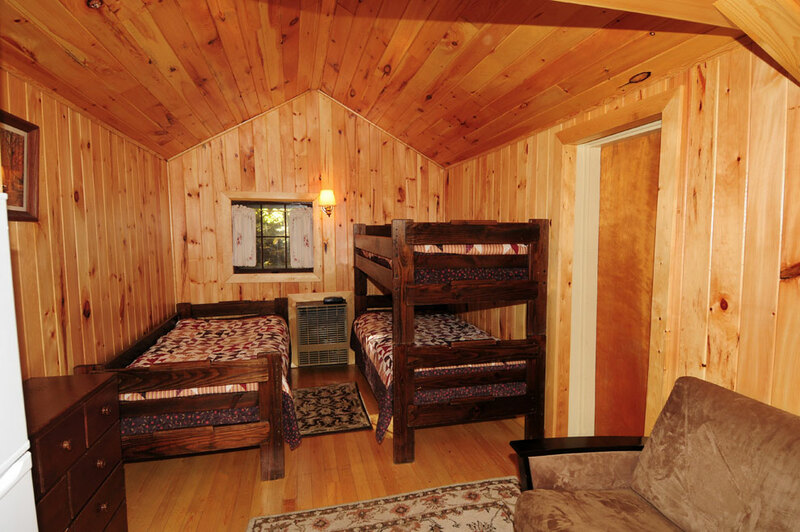 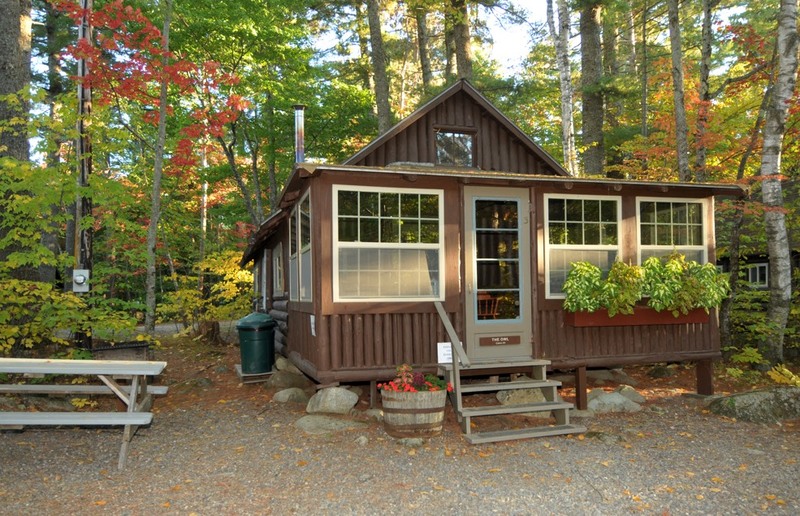 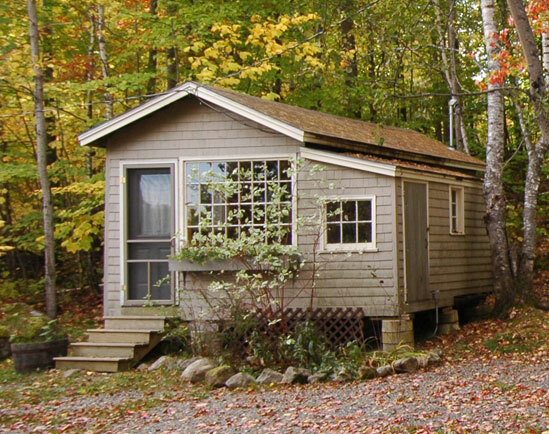 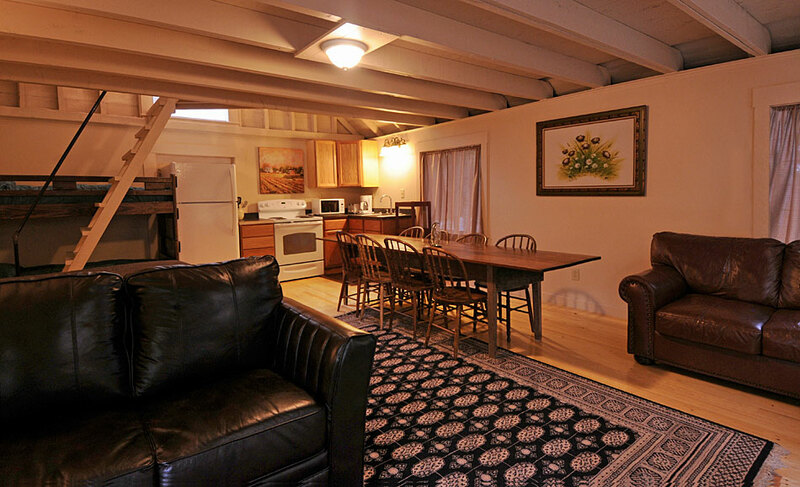 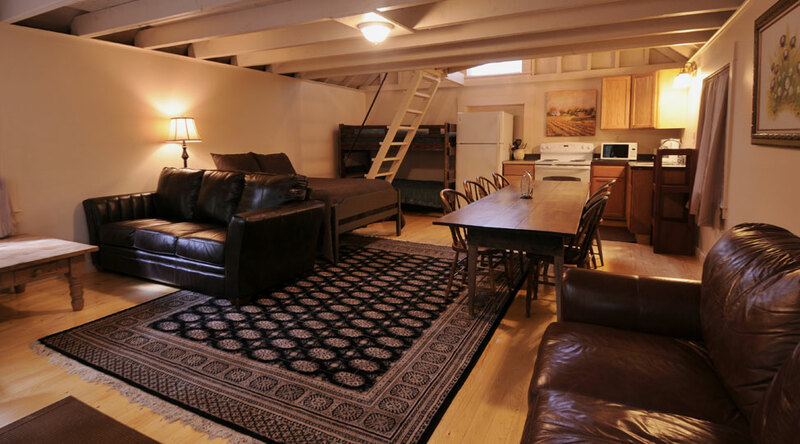 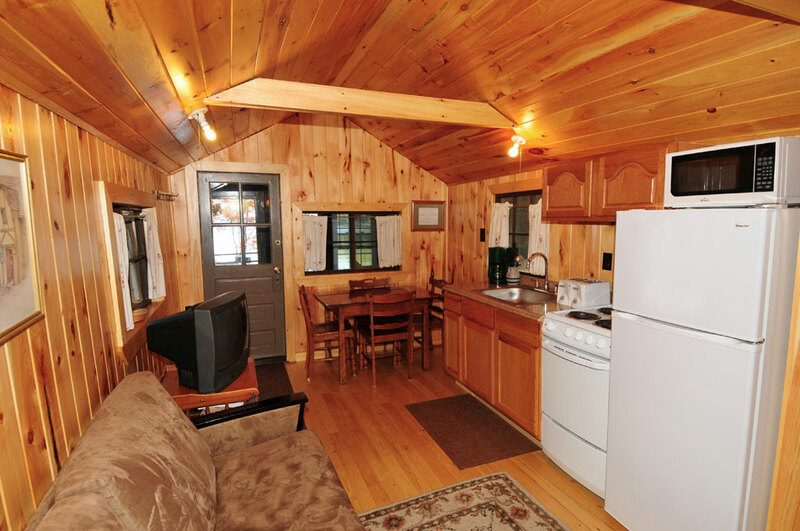 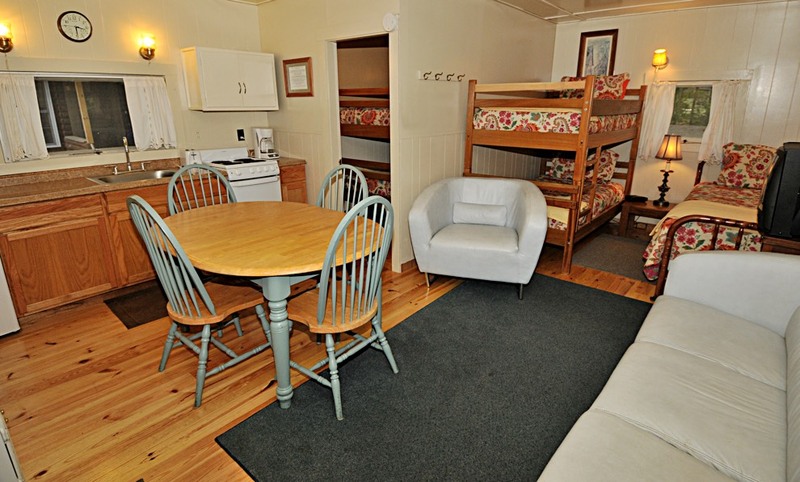 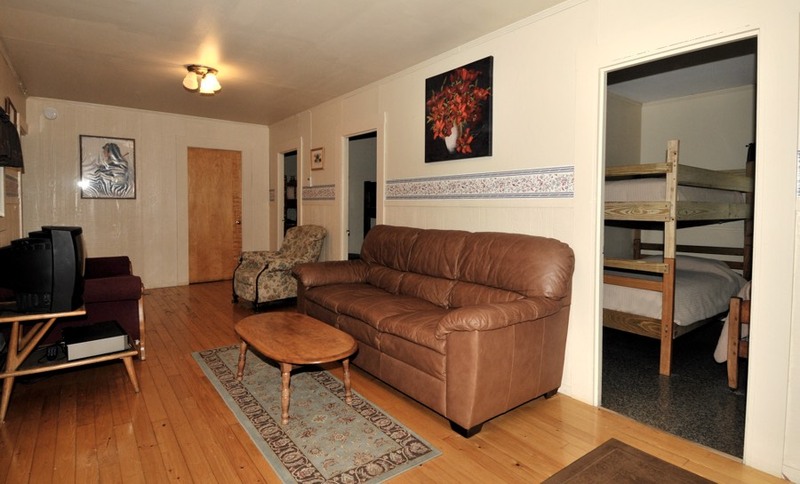 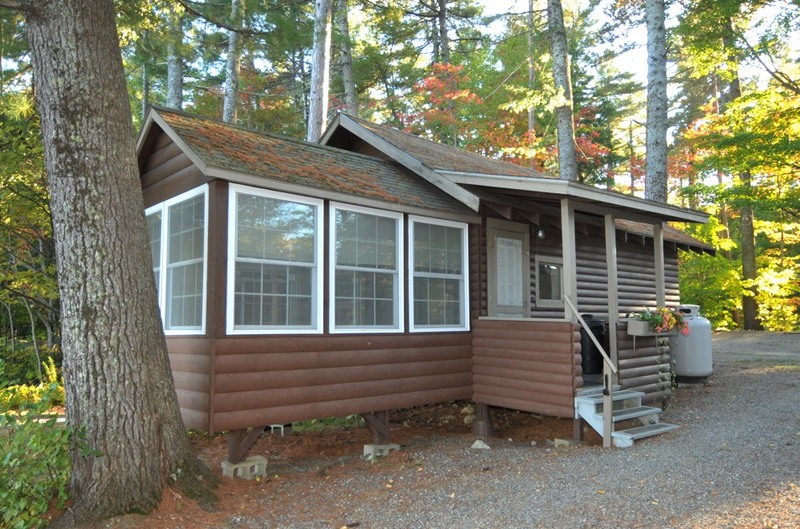 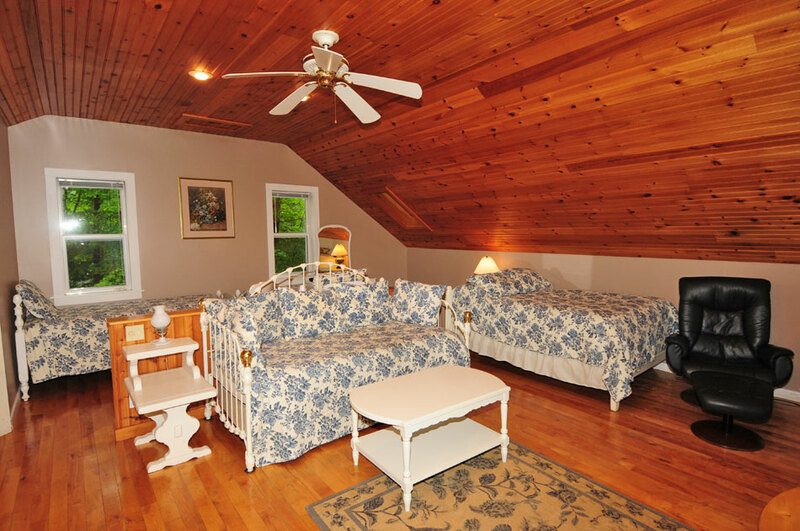 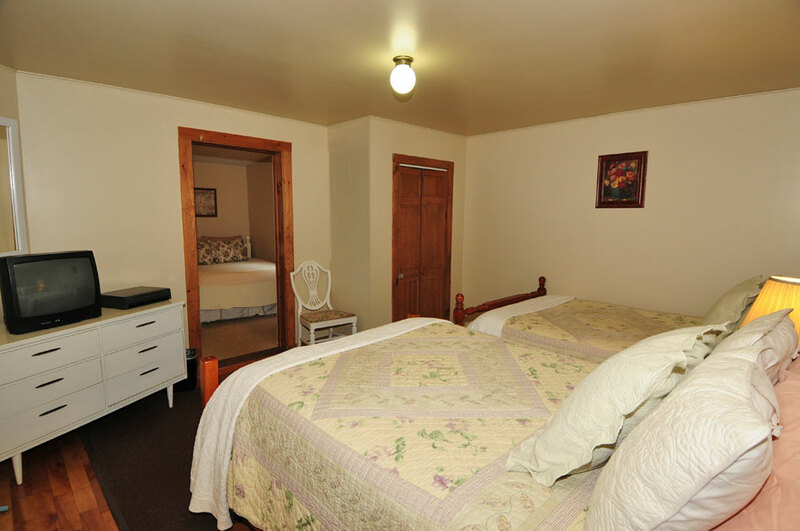 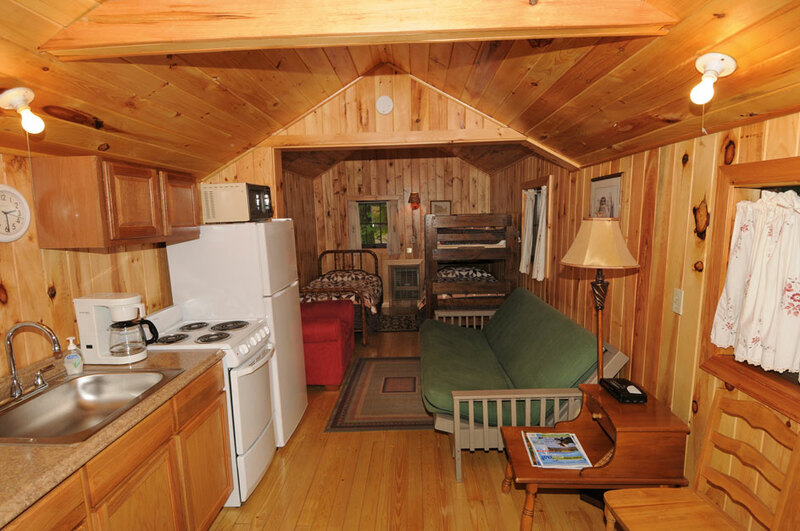 Comfortably housing groups from 2 to 16, our cabins make for a perfect base camp when visiting the Katahdin region. 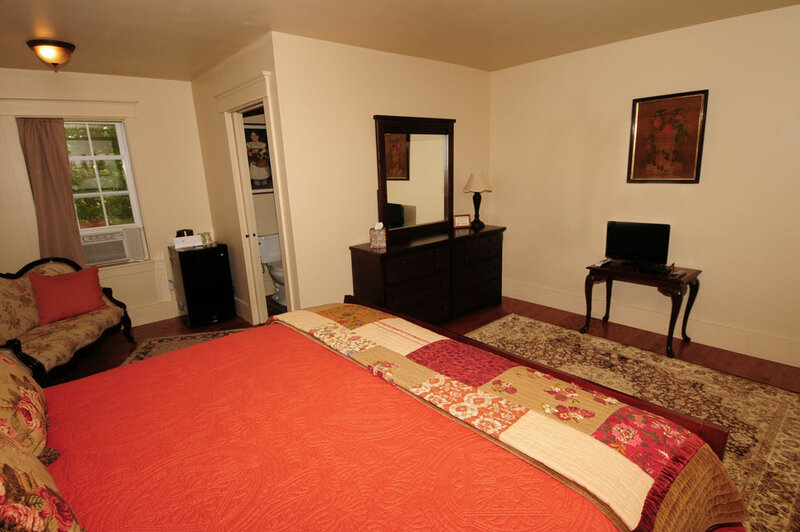 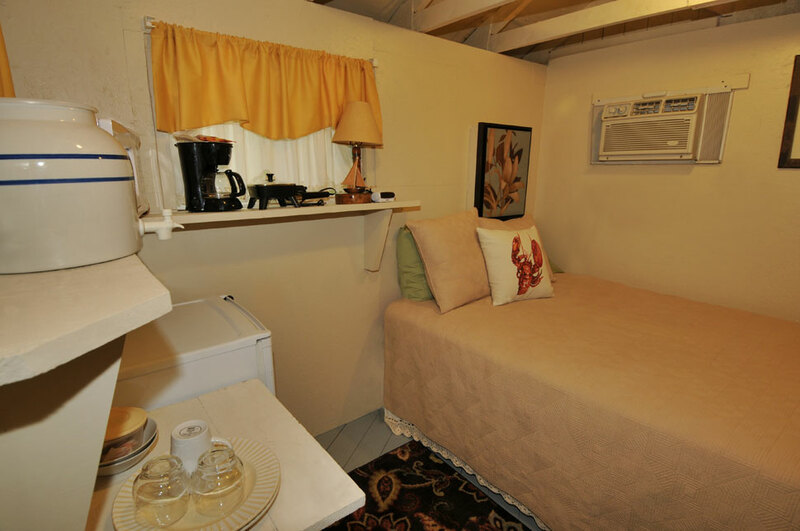 We provide cooking utensils and all of the linens, except bath towels and paper towels. 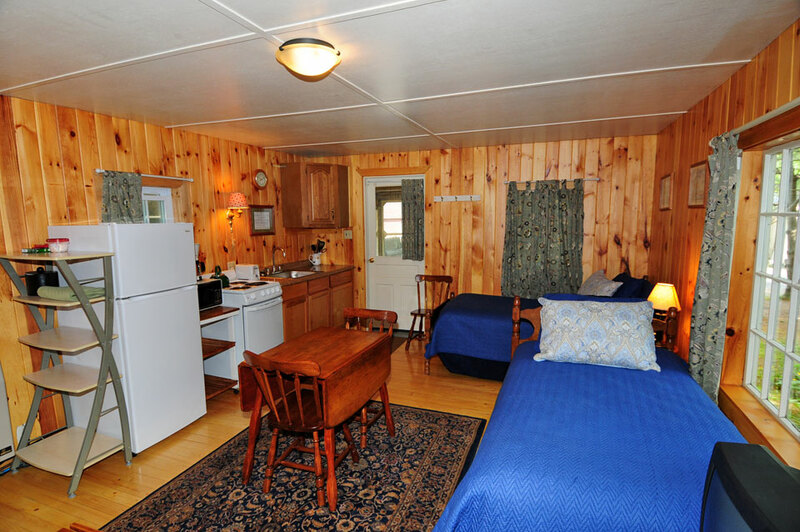 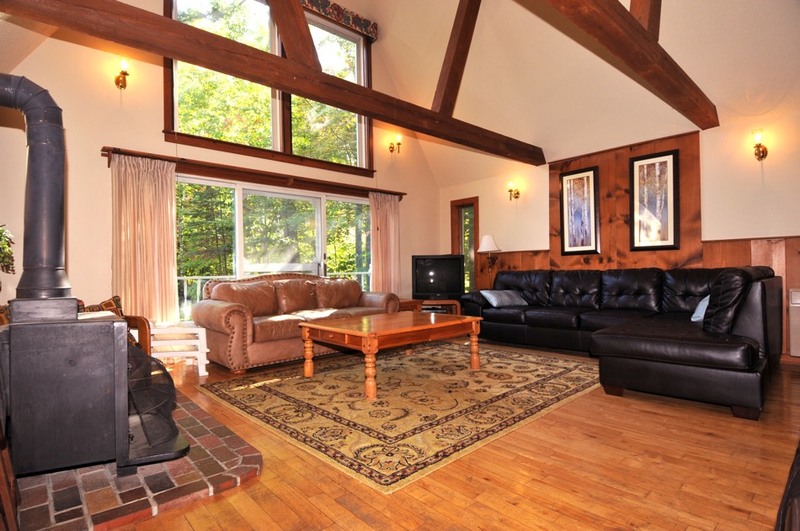 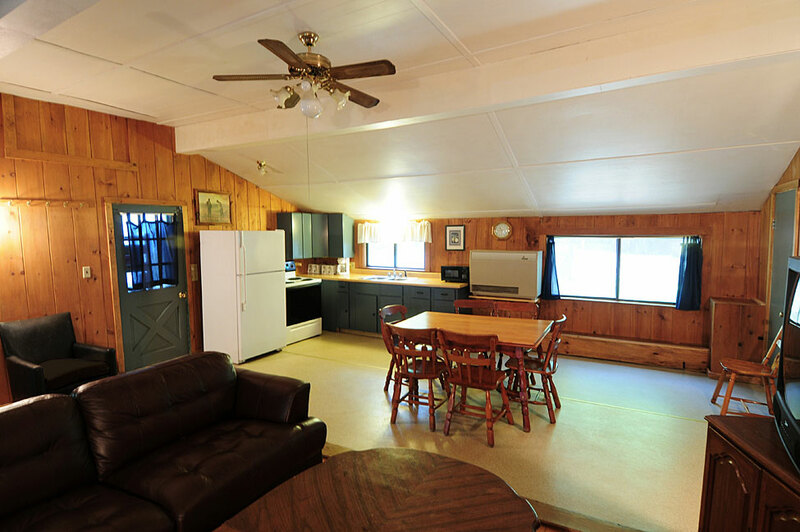 All cabins have heat pumps with air conditioning. 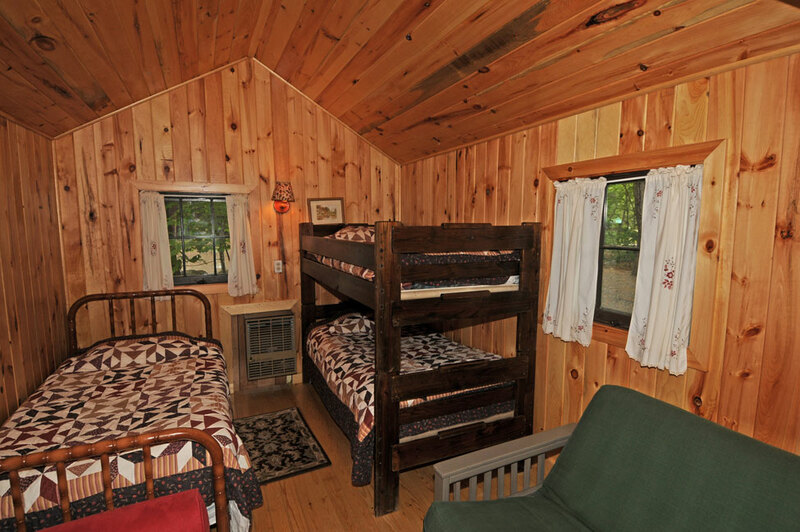 Click here to view a map of our cabins and lower campground. 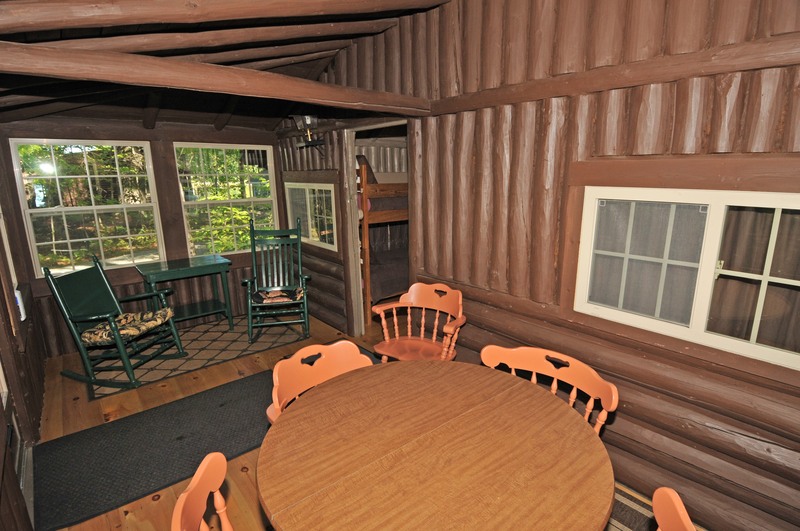 There is a firepit available for use at each cabin. 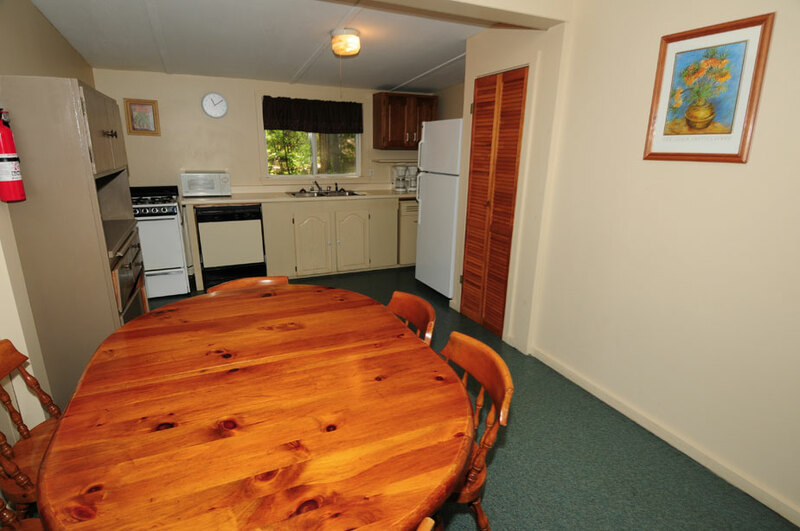 The grills are for charcoal only (charcoal is not provided) and the burning of anything else in them is prohibited. 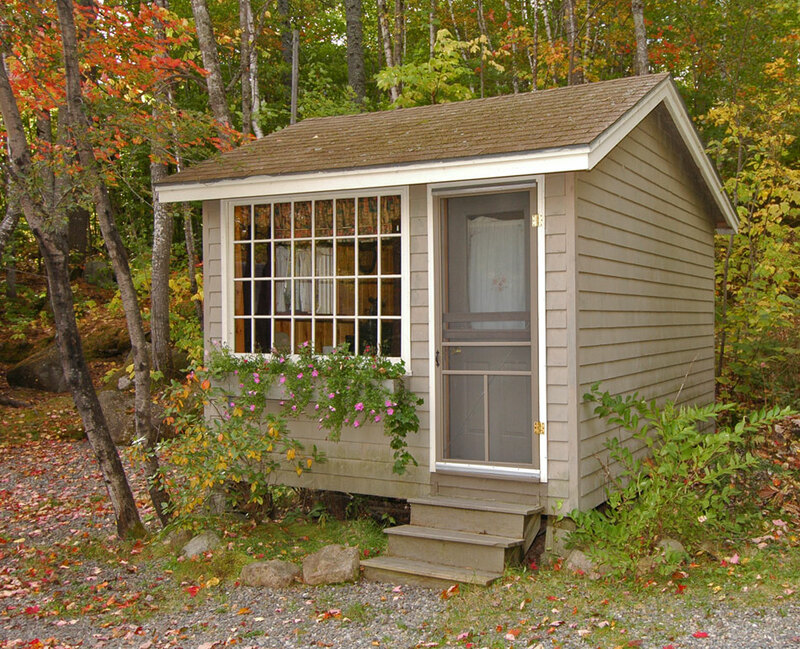 Unless otherwise noted, the bathroom facilities are detached and located 20 feet behind the cabin. 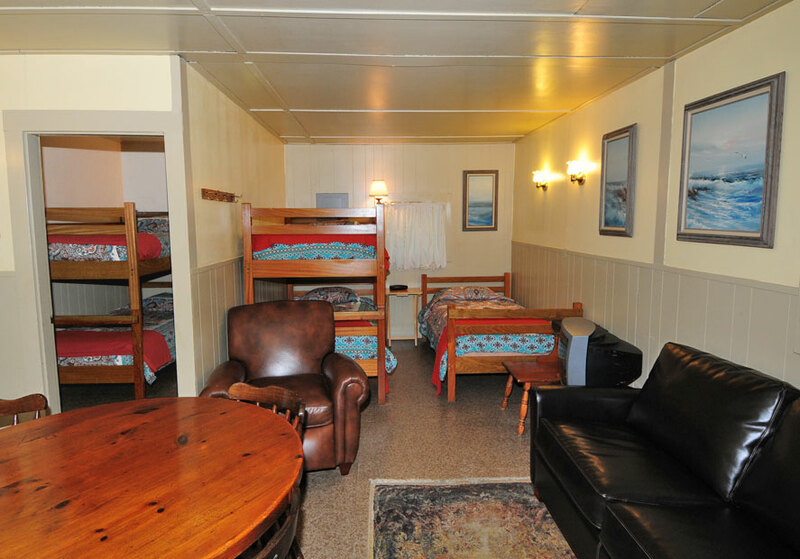 Each cabin has its own private facility. 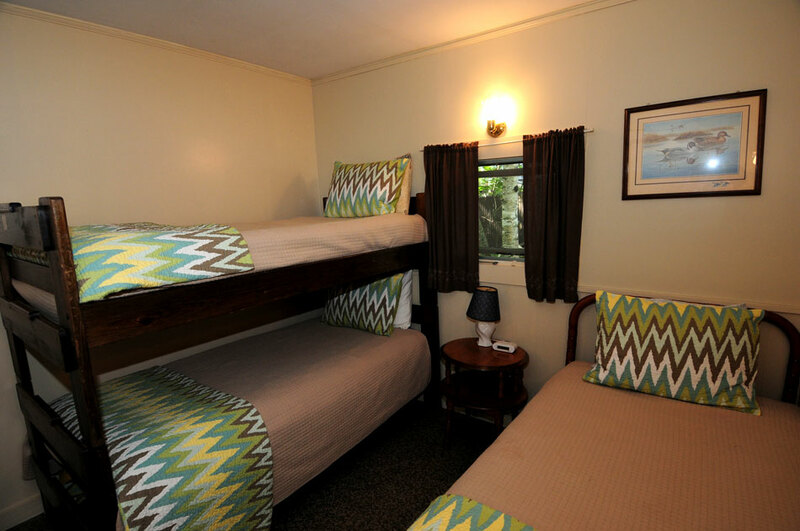 One bedroom with a queen size bed and a bunk bed, small kitchen and living area with additional sleeping for 3 (bunks and twin). 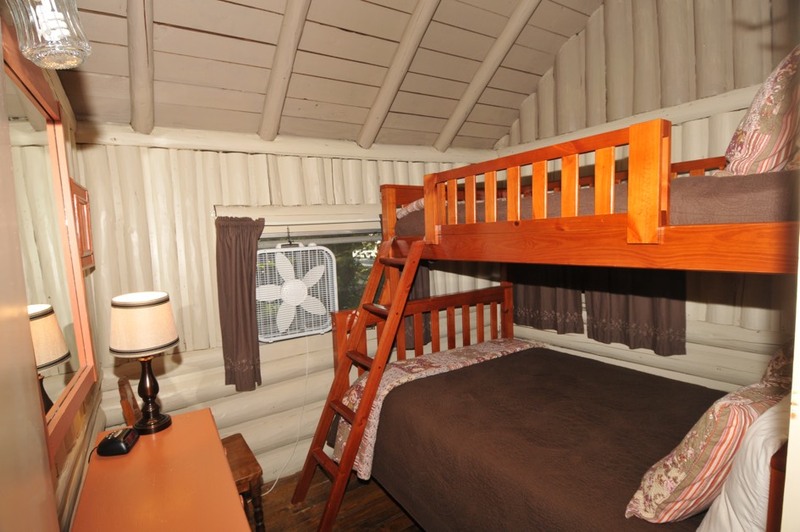 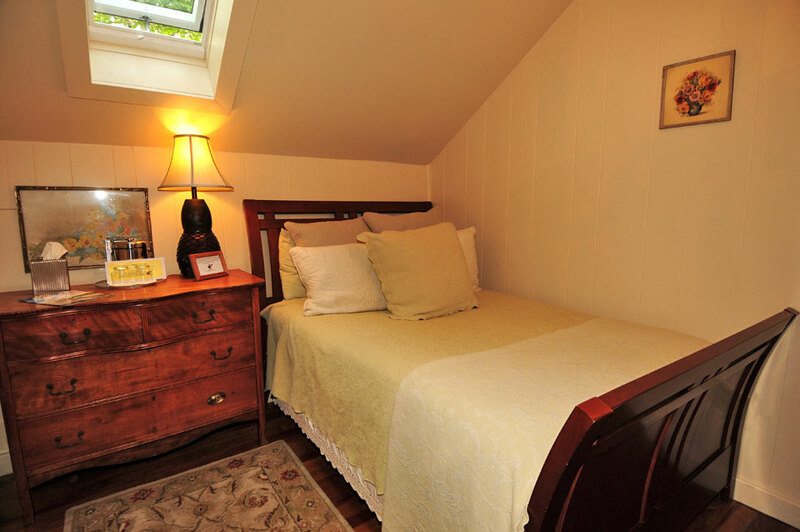 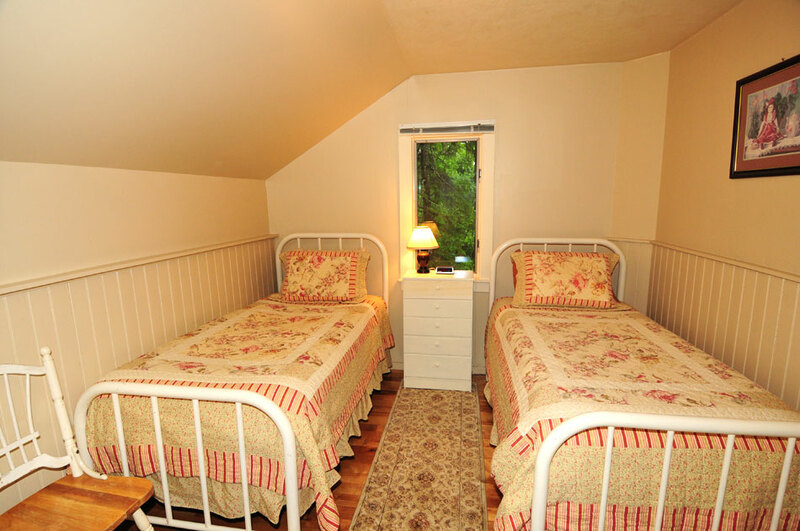 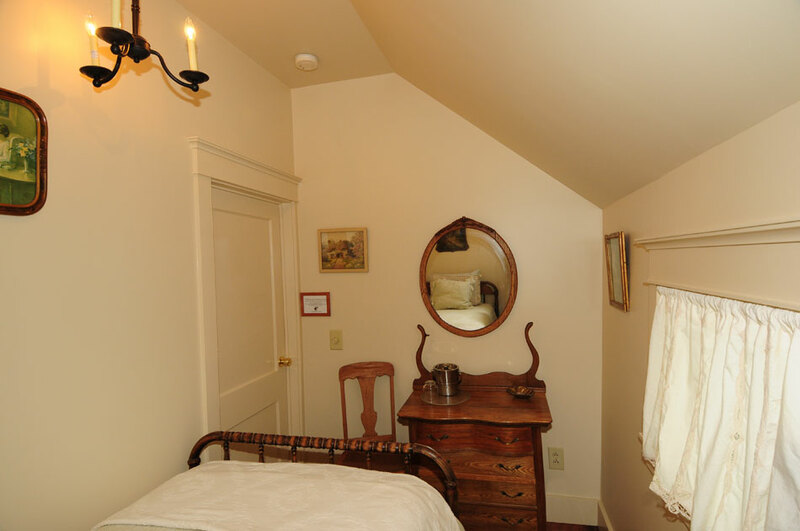 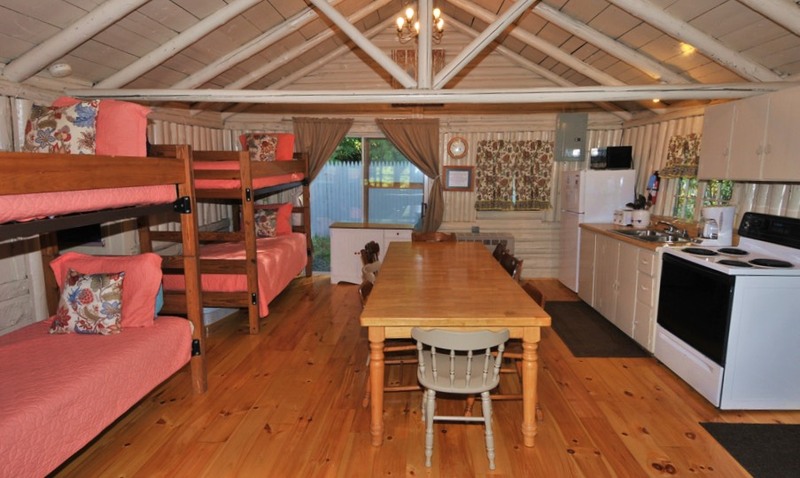 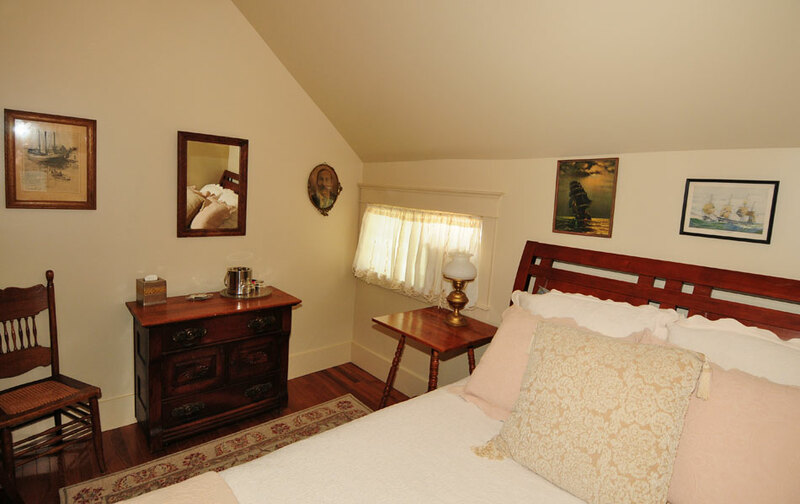 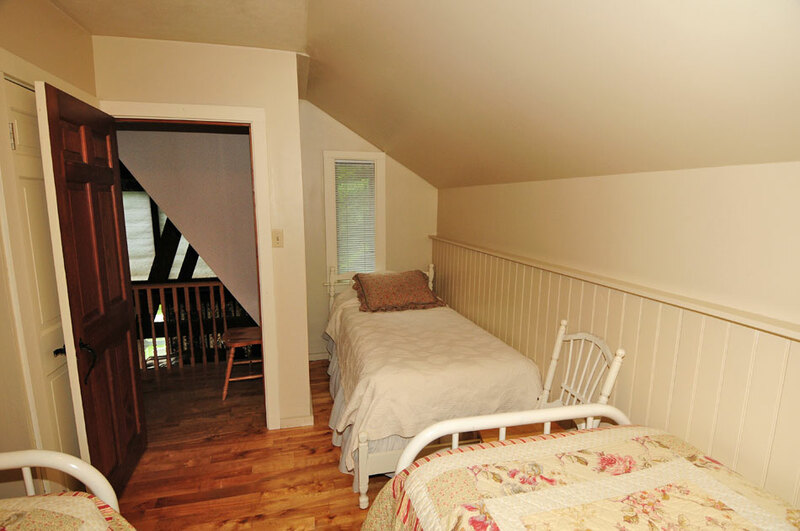 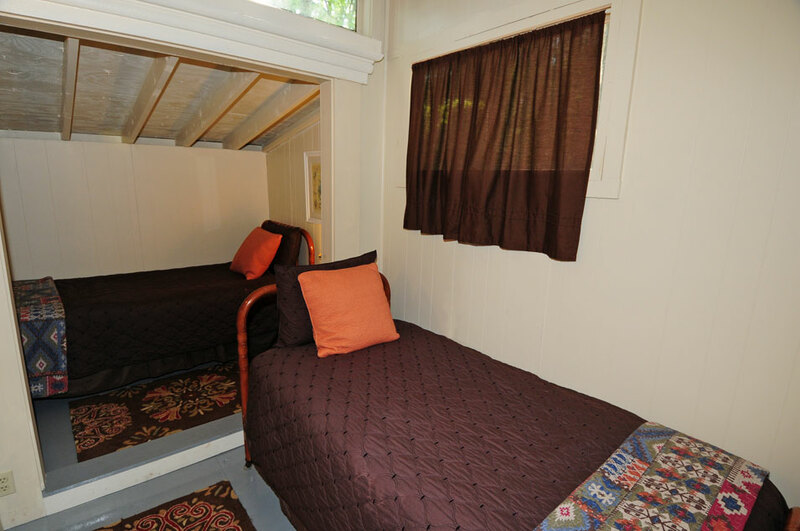 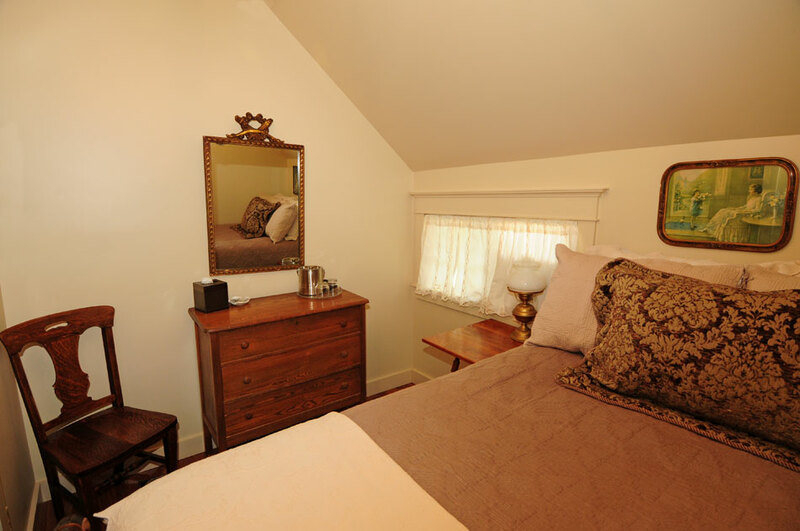 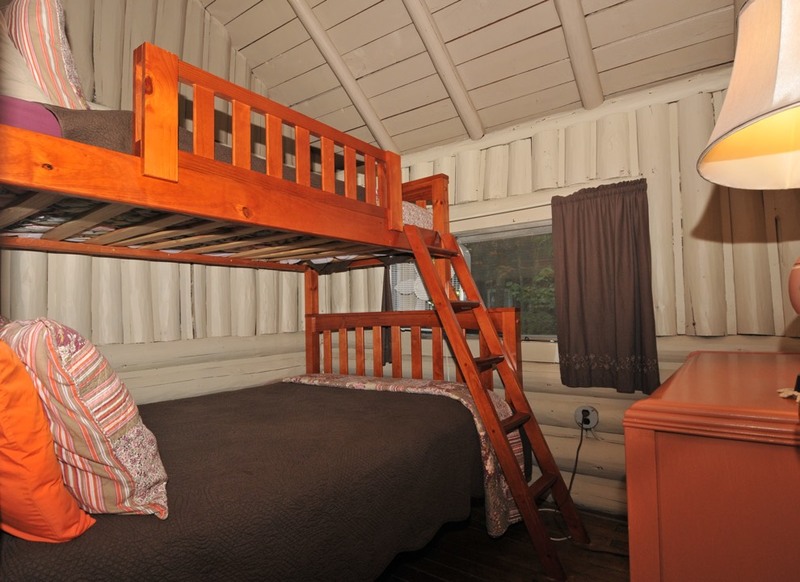 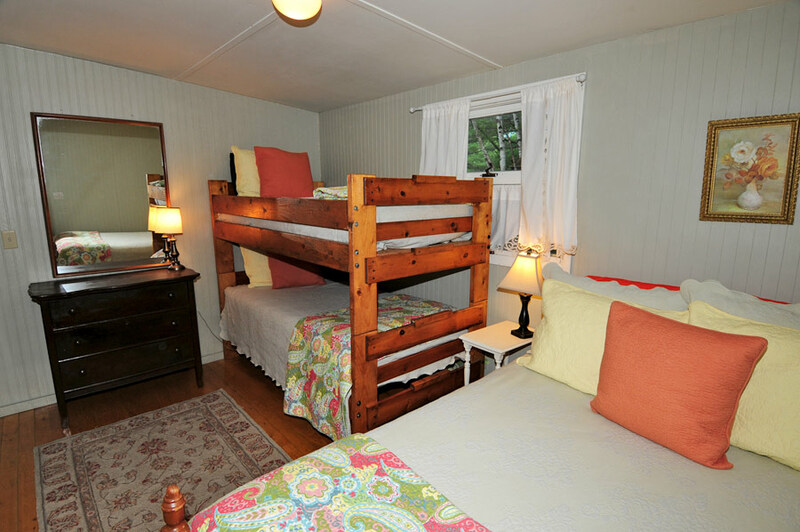 Small one room cabin with small kitchen and sleeping for 4/5; bunk bed, single bed and a Double bed Futon. 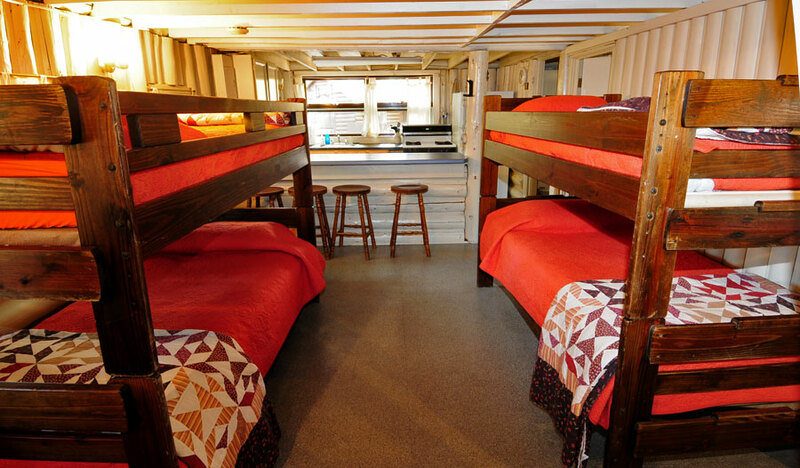 Medium-sized cabin with three separate sleeping areas. 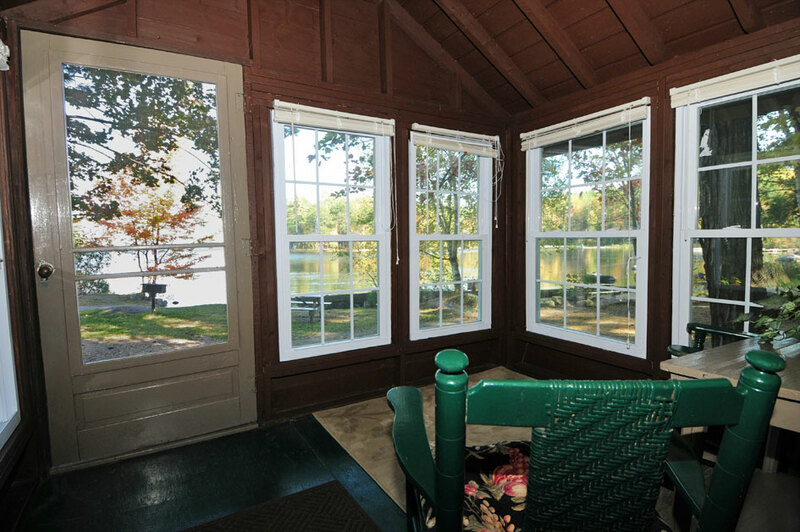 One bedroom has a set of bunks, kitchen/living area has a set of bunks and a twin, and the lakeside sunroom has a double futon. 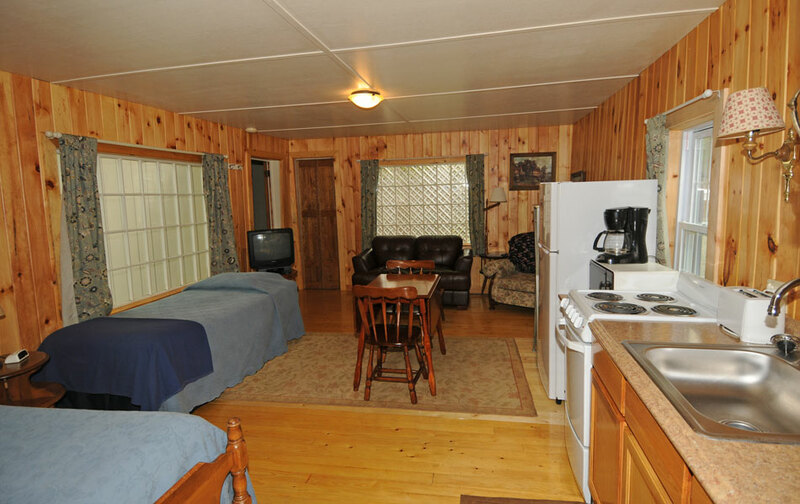 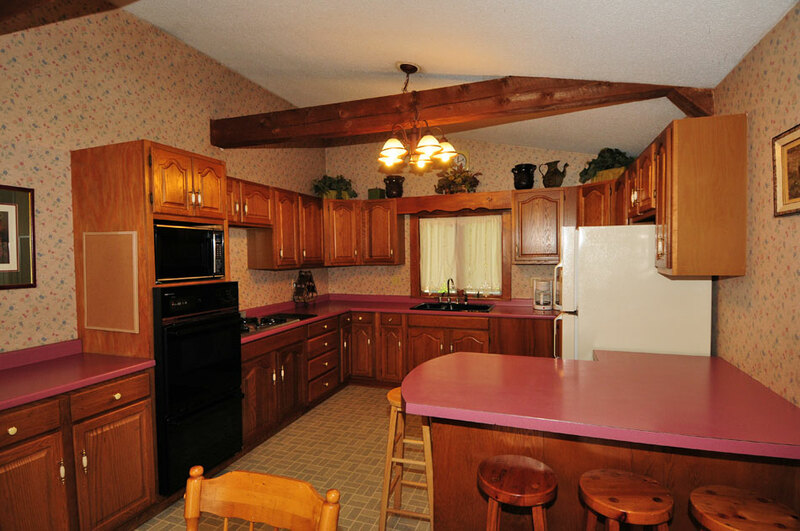 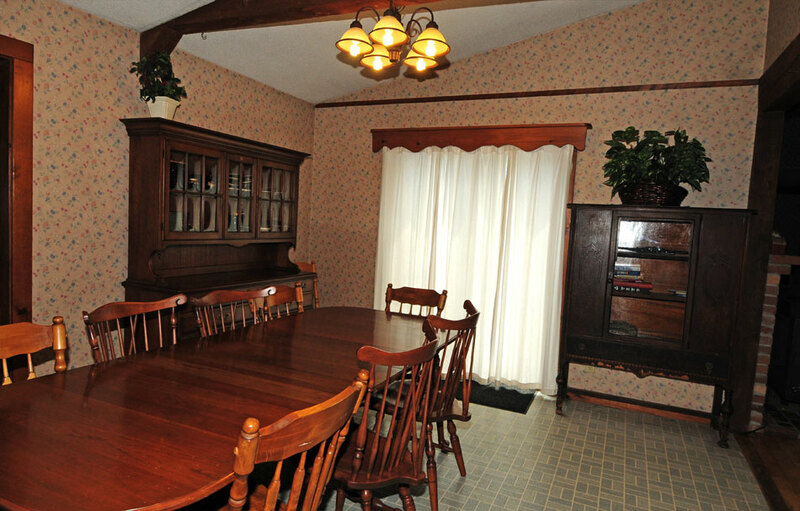 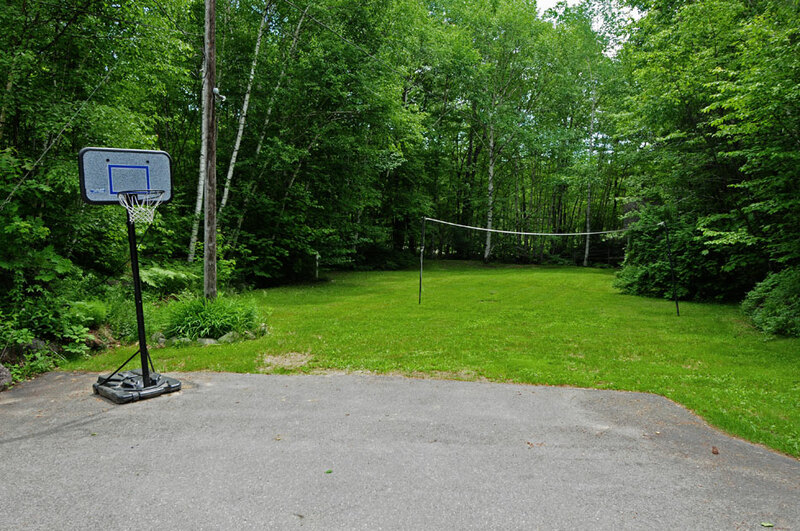 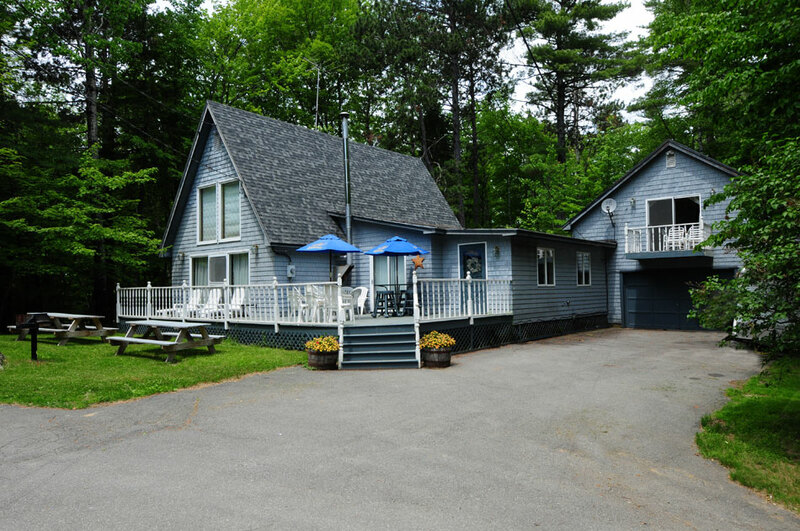 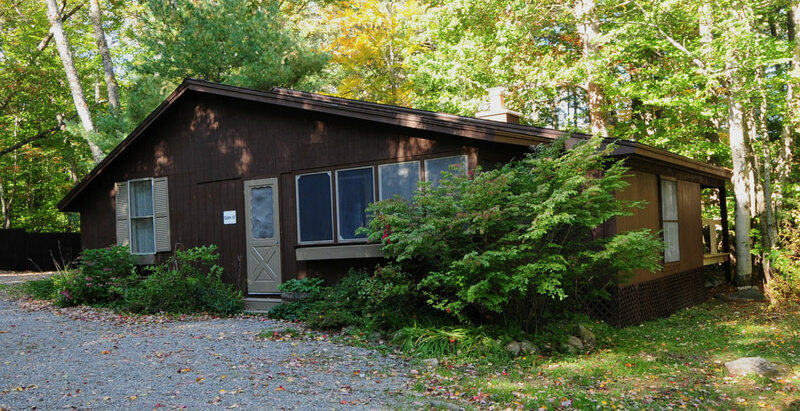 Sits on Millinocket Lake and has a full kitchen, stove, microwave, refrigerator and bathroom. 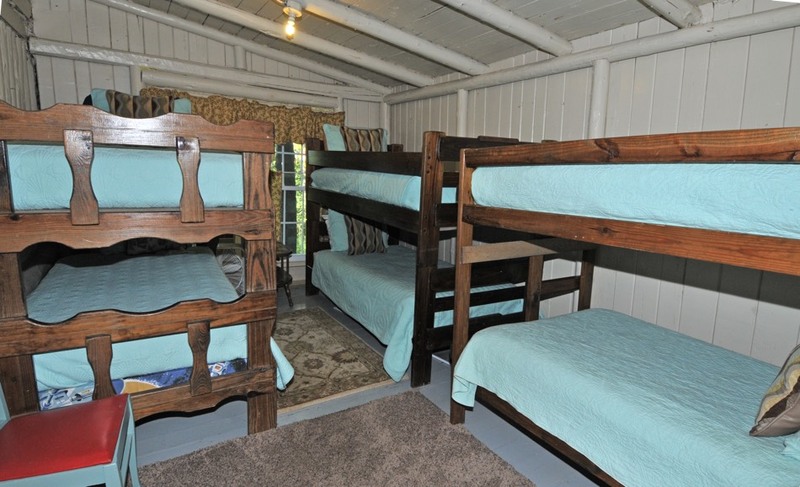 one bedroom with 4 bunk beds, sleeping for 8. 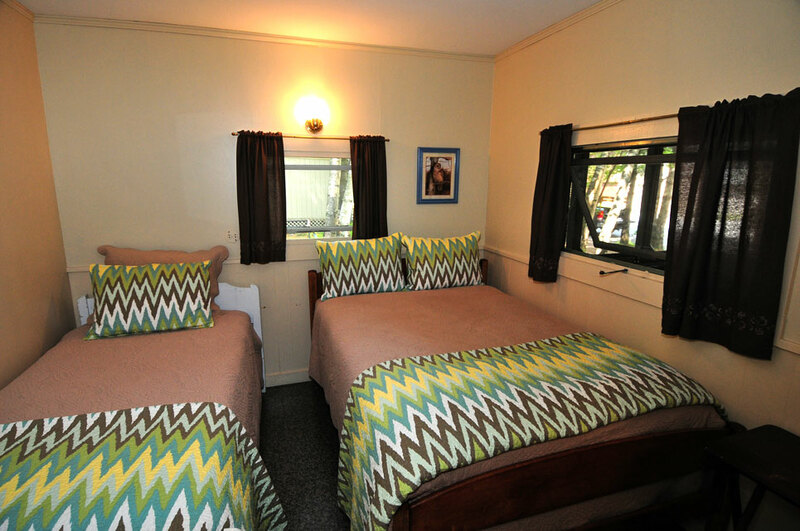 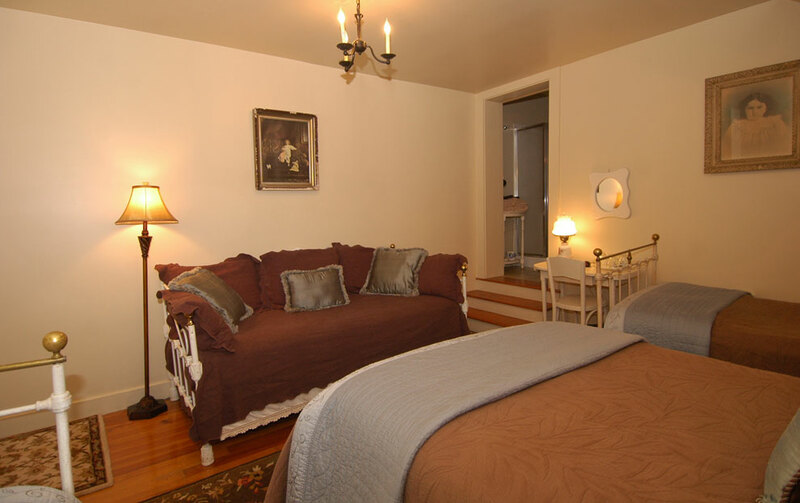 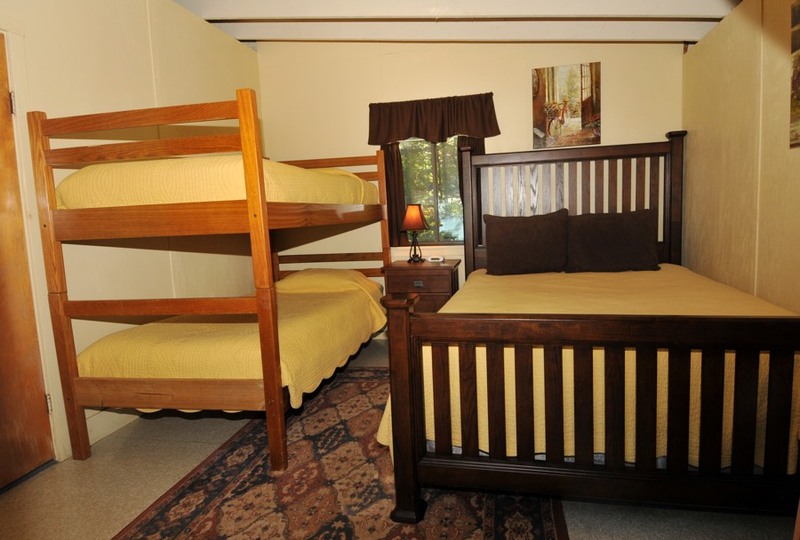 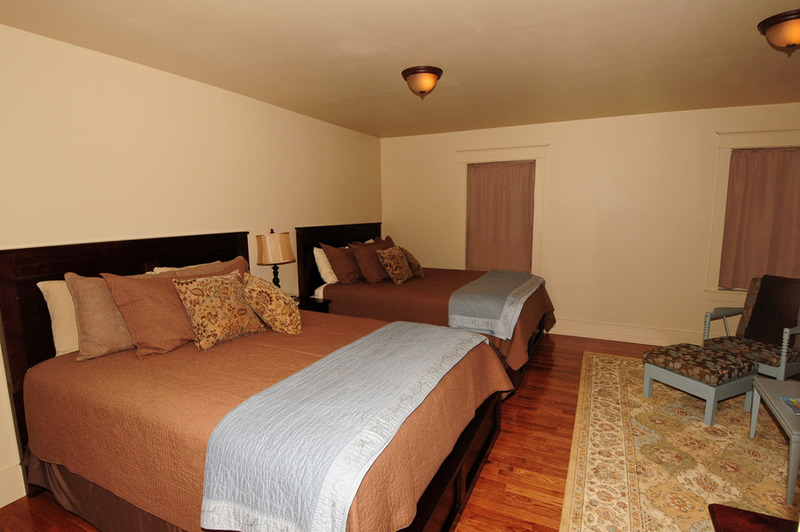 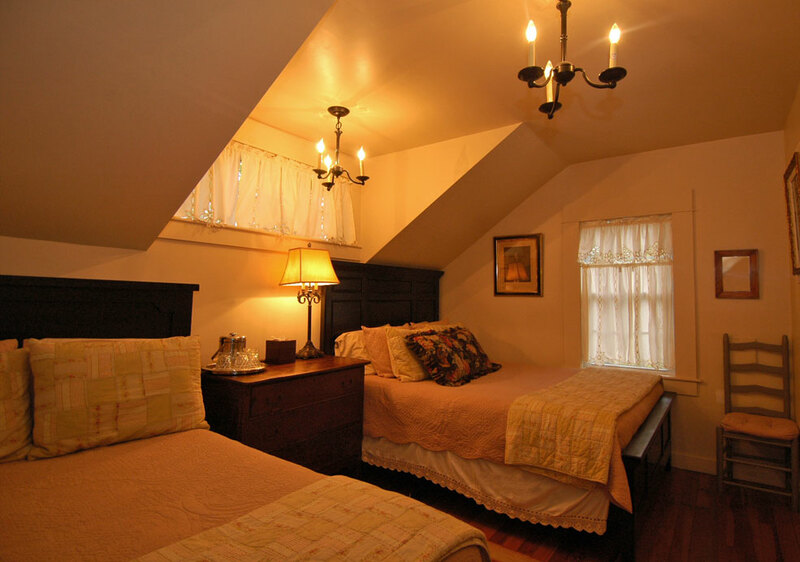 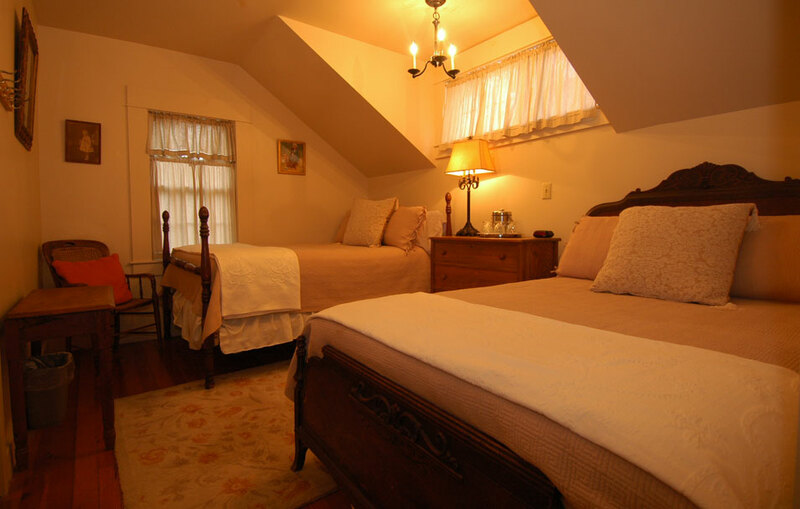 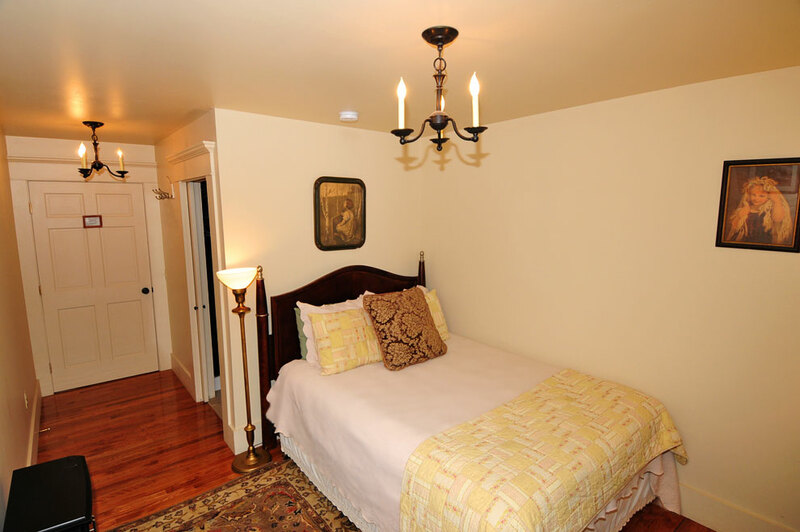 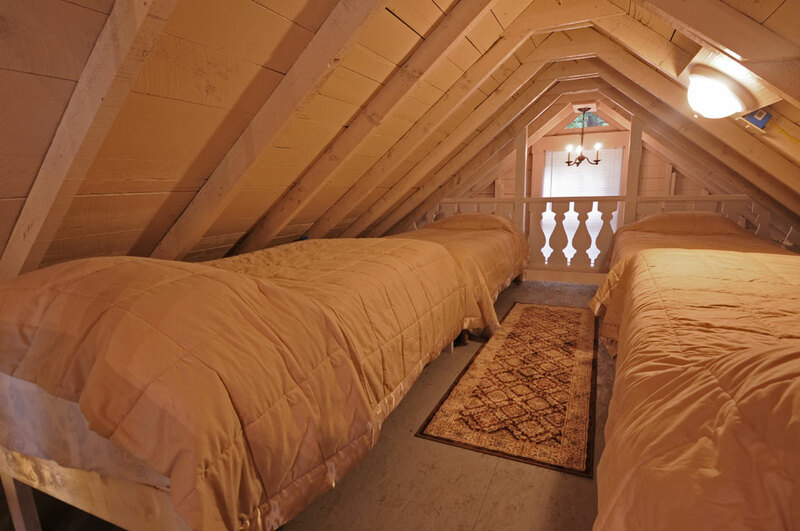 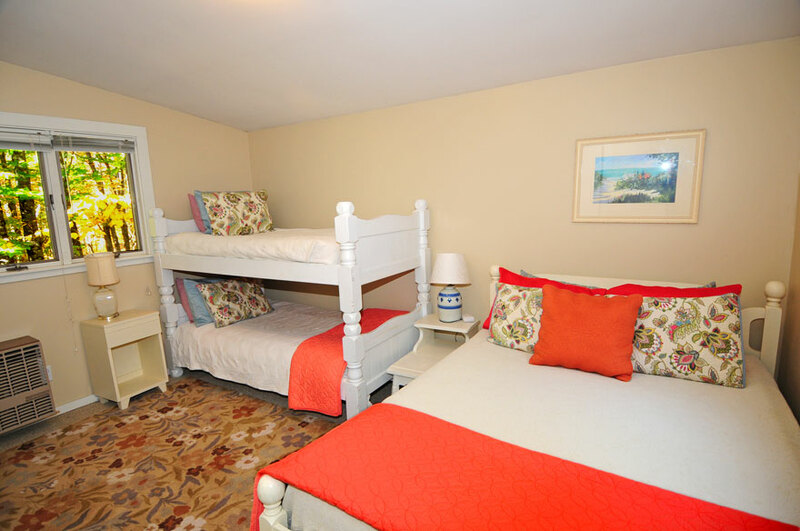 An additional 3 bunk beds, 2 with full beds on bottom, are available in the main room for 6-8 persons. 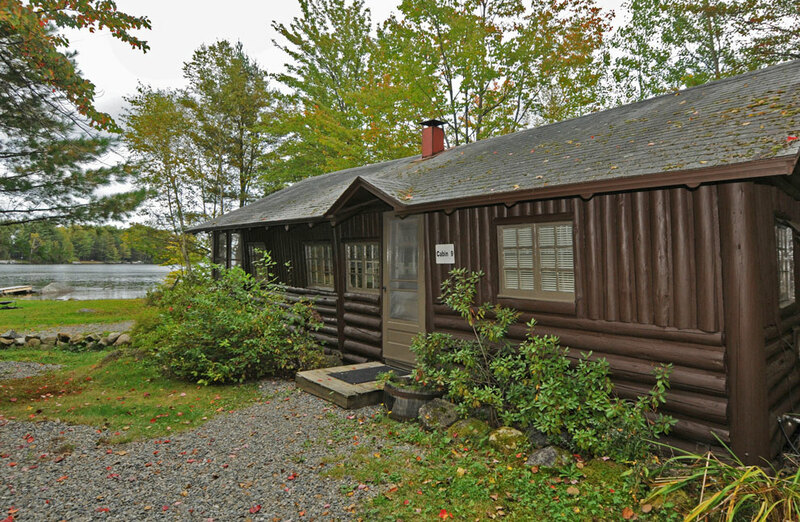 Large cabin overlooking Millinocket Lake with full kitchen, stove, microwave, refrigerator and bathroom. 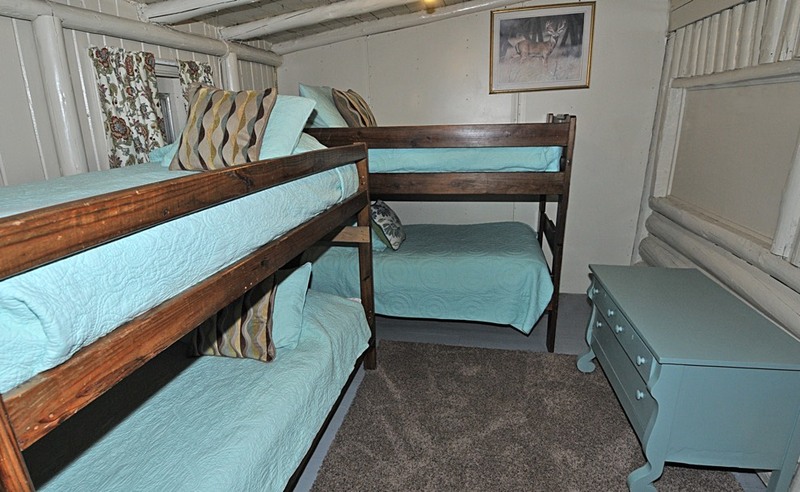 Three bedrooms: The first with a double and 2 singles, the second with 2 singles and 2 sets of bunk beds, and the second with a double and a bunk bed. 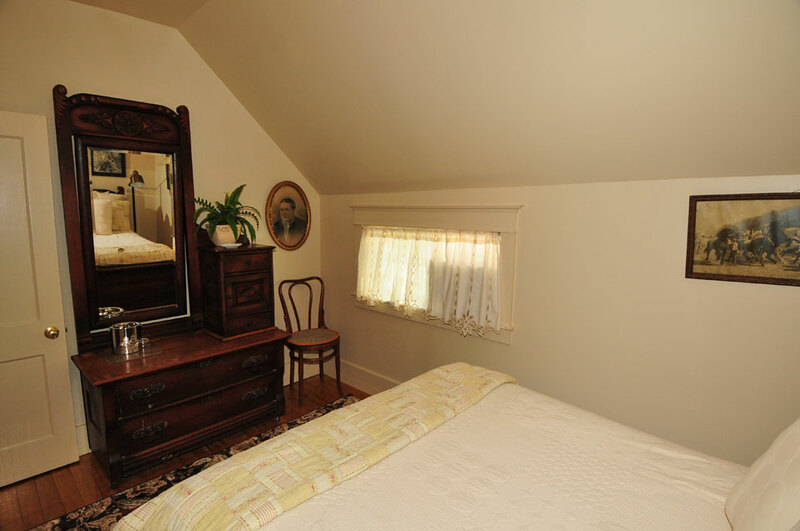 Sleeping also in the front room. 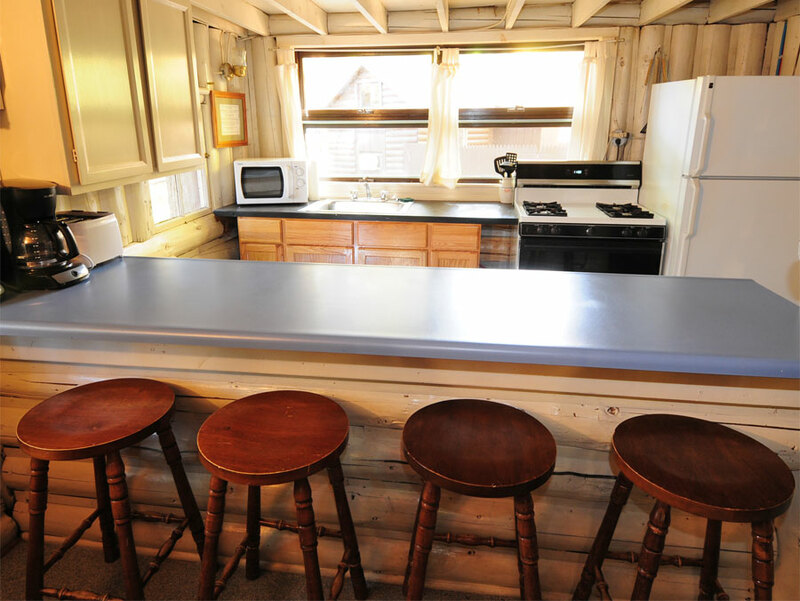 All cabins (except K house and sleep cabins) have screened in porches, fire pits, charcoal grills and all basic cooking utensils, microwave, coffee maker, etc. 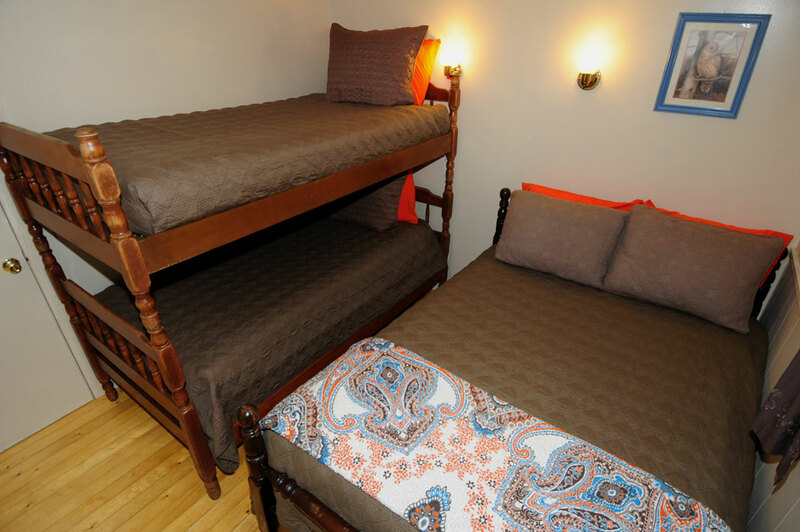 All linens are provided, but please bring towels! 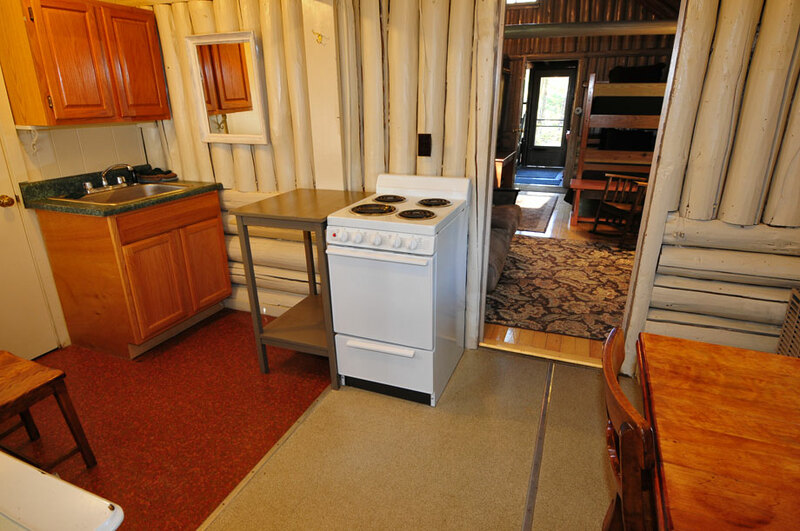 Please bring charcoal should you desire to use the cabins grill. 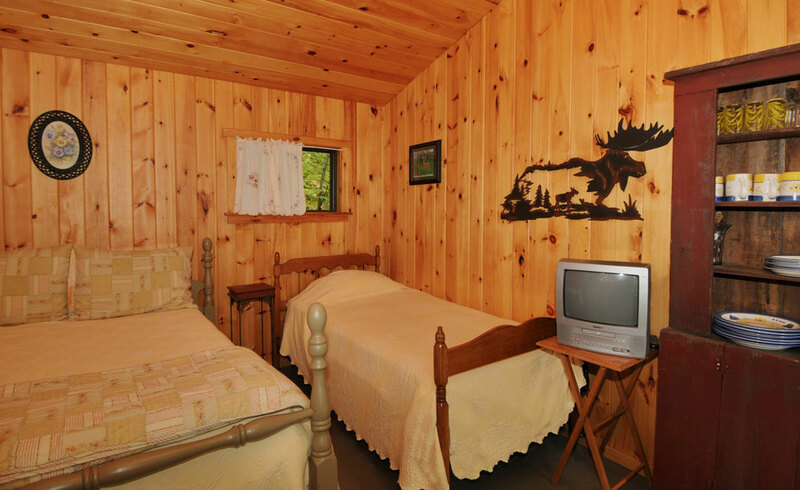 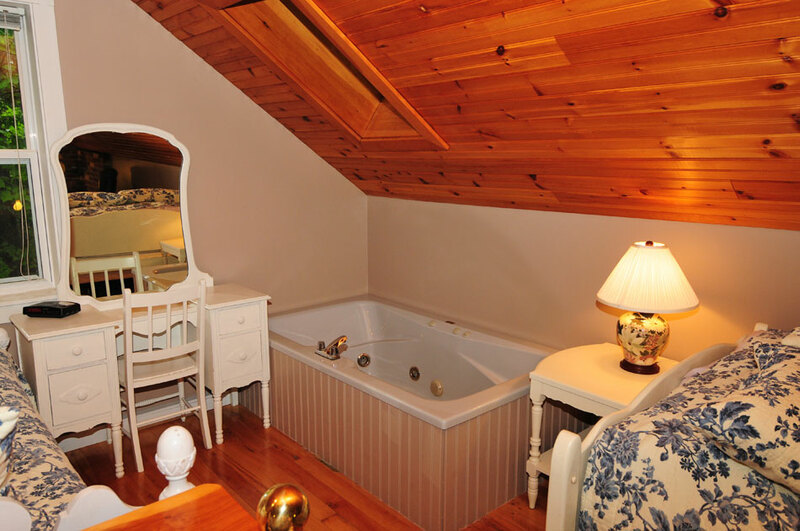 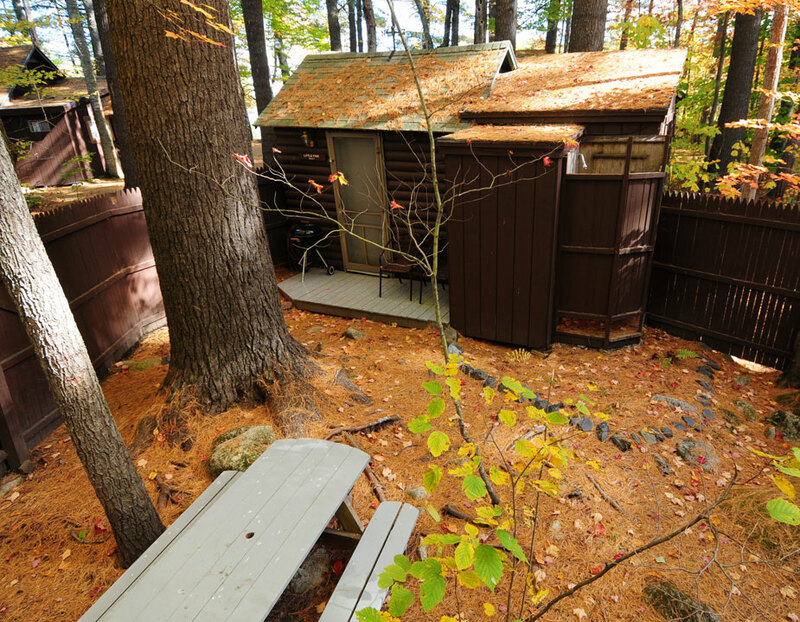 REMEMBER: Loon, Little Rocky, Doubletop and Togue all have private bathroom facilities behind the cabin. 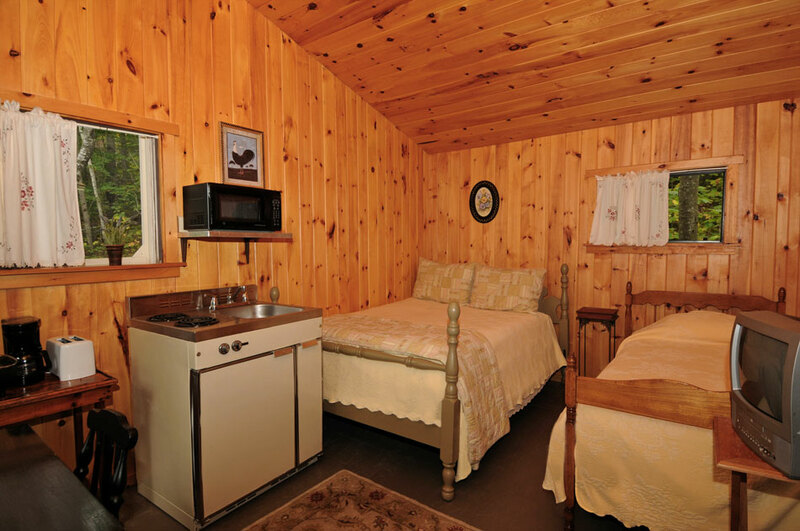 Sleep cabins use the lower campground bathrooms and have an efficiency-style kitchen with running water at the sink.